If you’re going to take your high on the go, may as well do it right! These hidden gems in Toronto were made for a post-smoke sesh hang. Summer is prime time for city exploration. If you’re going to take your high on the go, well, you may as well do it right. Get outside and plant yourself in a scenic spot where you can catch your breath and refresh your love for our concrete jungle. 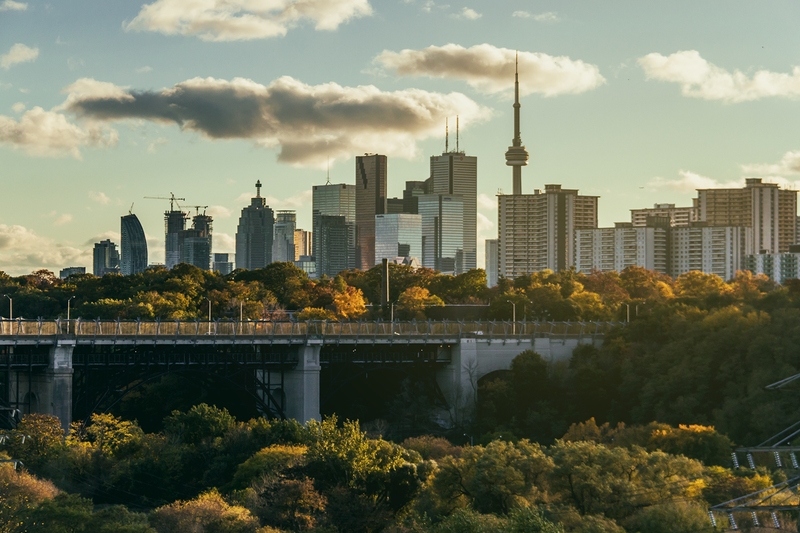 From hidden rooftop perches to lush green parklands, these hidden gems in our city were basically made for a post-smoke sesh hang. 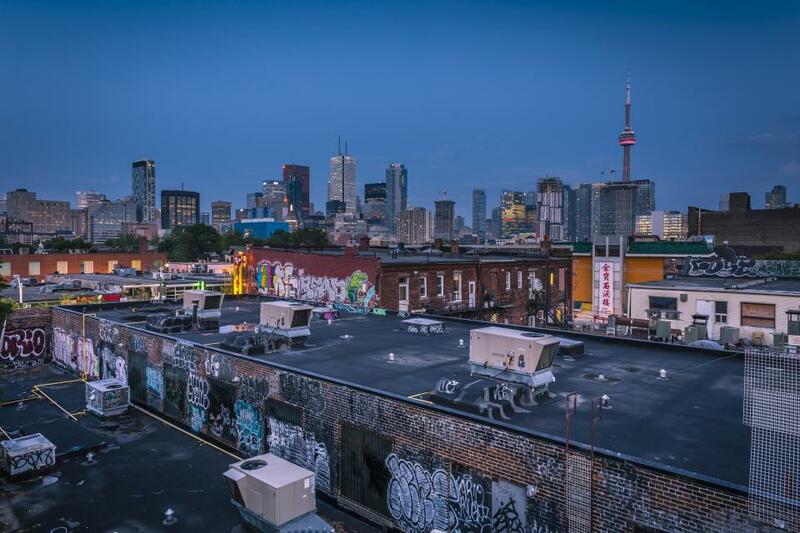 Atop the parking garage building on St. Andrew Street just off Spadina is maybe the best skyline view of the downtown core you can get for free. Climb up here and you can see how dense this core really is (buildings look like graffiti-covered tetris blocks) and the sunset is SOMETHING ELSE. Head up around 7 PM and watch the city grow from day to night. Just north of Front Street near the waterfront, this steel bridge is one of the city’s busiest major connectors. From up here you can see the thousands of cars crossing over four lanes of traffic on Bathurst St. and trains moving over ten sets of train-tracks. Bask in stillness as you watch rush hour in all it’s wild glory. 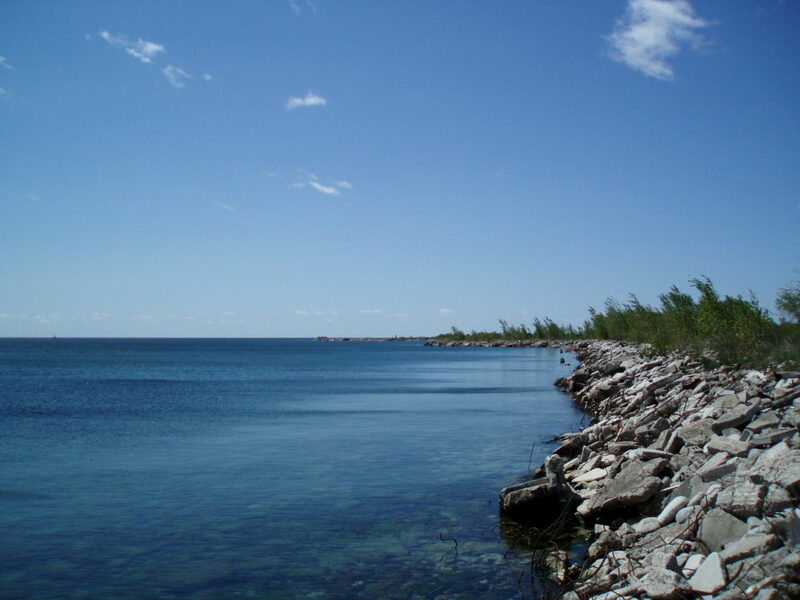 As far as urban wilderness goes, Leslie Street Spit is one of the best places to get a breath of fresh air in Toronto. This car-free parkland that runs south along the outer harbour is a prime destination for wildlife viewing – think: rabbits, turtles, and over 300 species of birds here. Expect to emerge feeling renewed. 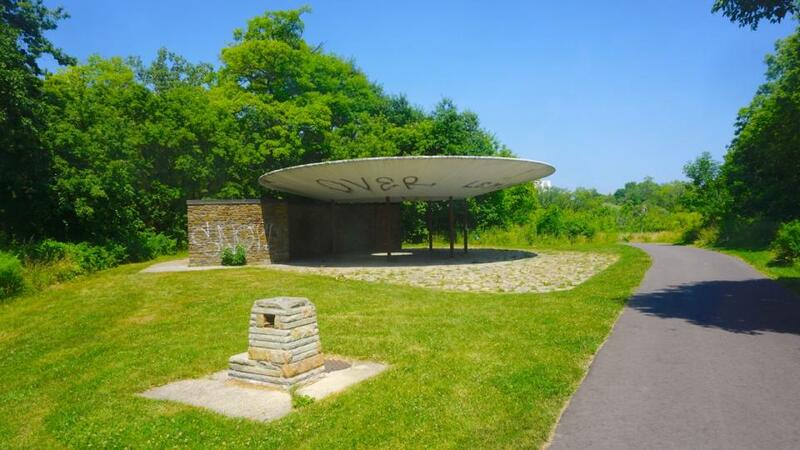 This derelict, UFO-looking stone monument on the South Humber trail was built in 1959 and is mostly forgotten, but is still an incredibly unique public space. It’s got an oculus that casts a perfect circle of light on to the stone floor. Sit on the weed-sprouted concrete and focus on the bright side of things. On Toronto island across from the elementary-school-turned-retreat-space known as Artscape Gibraltar Point is Toronto’s oldest landmark, the Gibraltar Point lighthouse. 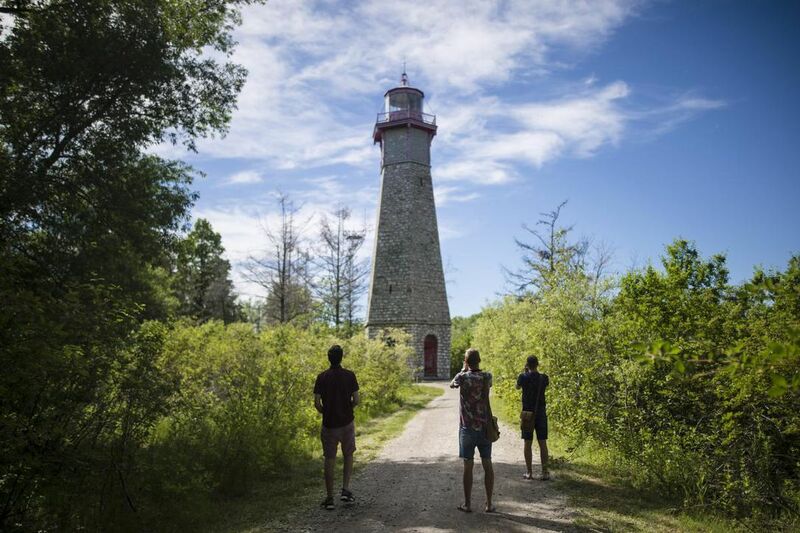 This 19th century lighthouse is supposedly haunted, but for the most part, you’ll likely find being here puts you deep at ease. Take a lie-down on the grass, walk to the beach, find an ice cream truck, take the ferry back when you’re ready to return to the big smoke. This specific area of Trinity Bellwoods park checks all the boxes – it’s super-easy to get to, it’s got a beaut view with plenty of open green space, and, it’s actually relatively private for the most part if you go during a weekday (best wake-and-bake, this). Bring your pup and watch the sun rise. 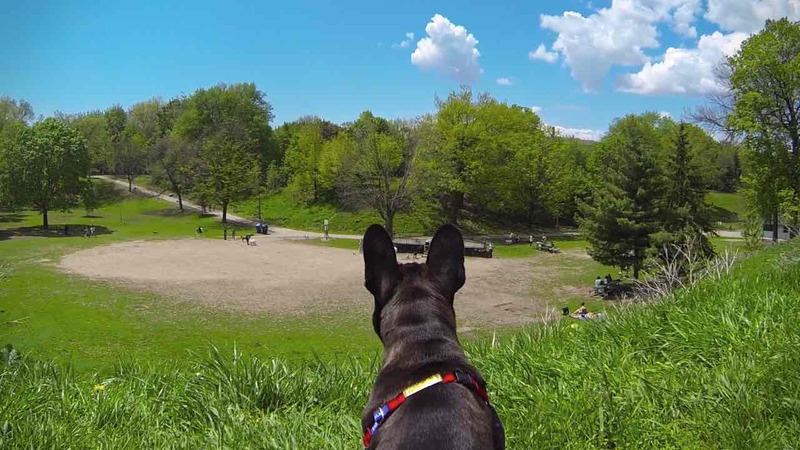 Just a few blocks north Danforth off of Broadview Ave, is a discrete grassy knoll that offers a pretty spectacular view of the Don Valley Parkway. 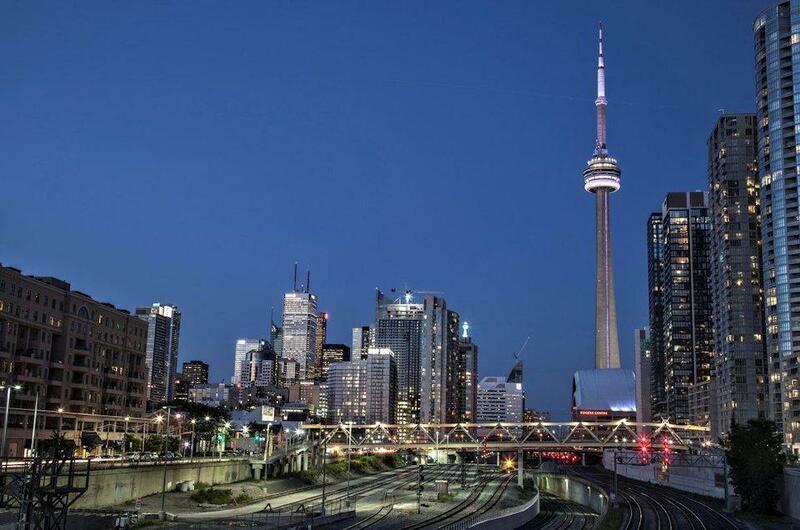 At night, the glittering horizon – TD building, CN Tower, and Rogers structure, is on full show, and is definitely the stuff of city romance. 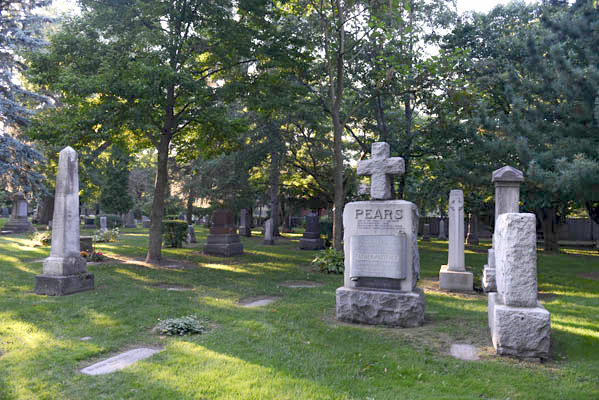 For the ghouls out there, this, Toronto’s oldest cemetery (dating back to 1850) is a super-picturesque resting spot for 50,000 souls over 18.25 grassy acres. The land is dotted with stone statues, Gothic-style buildings with stained glass accents, and has a stunning marble-fronted arch entryway. You’ll be able to rest deeply at peace here. If you dare. Where’s your favourite spot to head to after you smoke a j? Care to share? Leave it below!